"Rest peacefully. I am still heart broken if your passing and been a fan since I was a kid. You were one of my inspirations in horror. My condolences to your friends and family. You are missed and loved by many. You're now an beautiful angel. Freddy and ghost face being my all time fav characters, thank you for the scares and thank you for your imagination." "Loving mastery of how we view what scares us most losing a loved one in death our family hearts are with your families in missing you love family of jewel"
"I never been in horror movies that much but Scream was wonderful. I really loved the trilogy then Scream 4 was perfect as well. RIP. You'll be missed." "He was the best and will surly miss him,God be with his family.."
"I will miss Wes,his movies were so awesome!Freddy is my favorite and I sent my love to his family,a lost like this is so difficult to go through, I know because I lost my dad four years ago to cancer and there are no words to really comfort you through a bad time like this so sent love and prayers to his loved ones may Wes rest in peace." "Without a doubt, the Greatest horror director of all time. 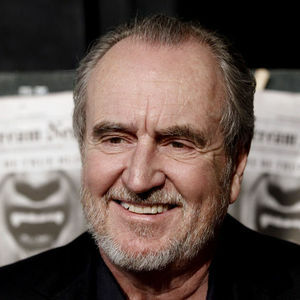 Will definitely be missed by horror fans throughout the world. Mike, Horror Fan, Longmont, CO"